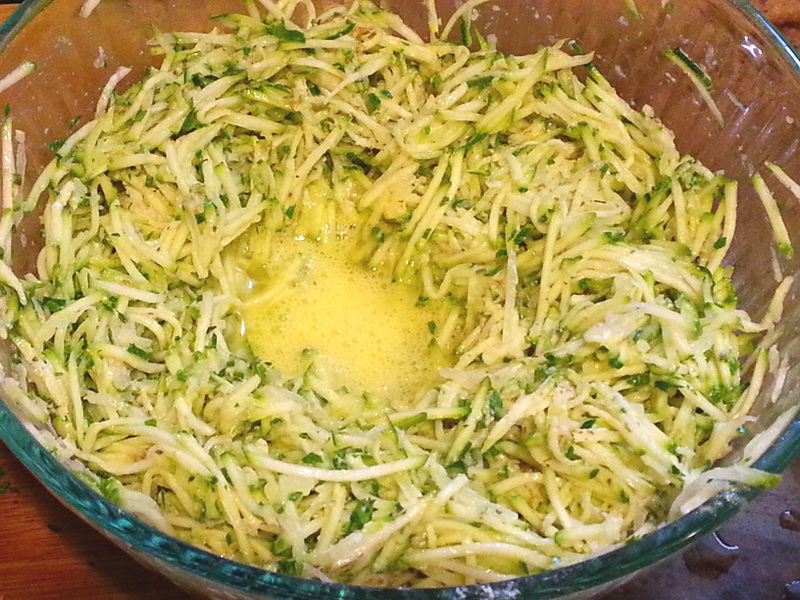 Summer squash season has started and It makes me very happy, as it gives me license to make all sorts or yumminess celebrating zucchini and its relatives. 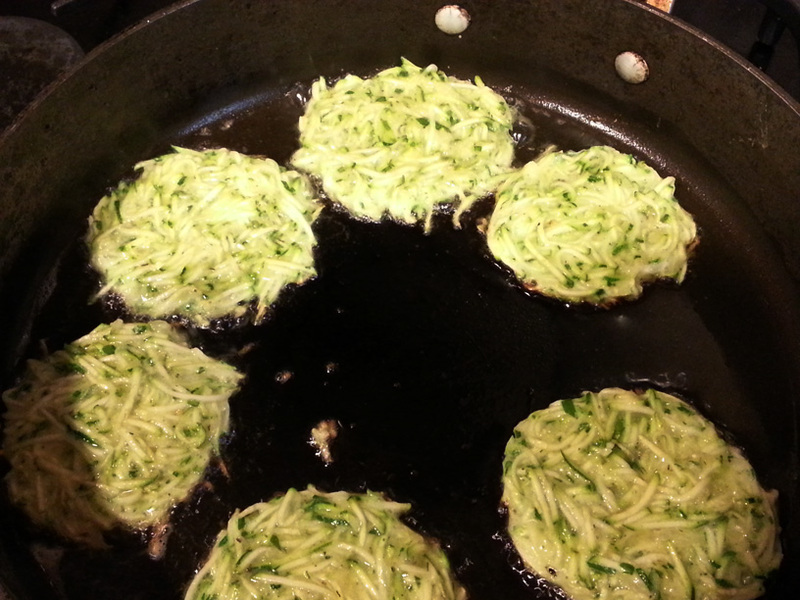 I wanted to start with simple zucchini fritters. My mom made those for me and my sister almost everyday during the summer, and we absolutely loved them dowsed with sour cream for breakfast. 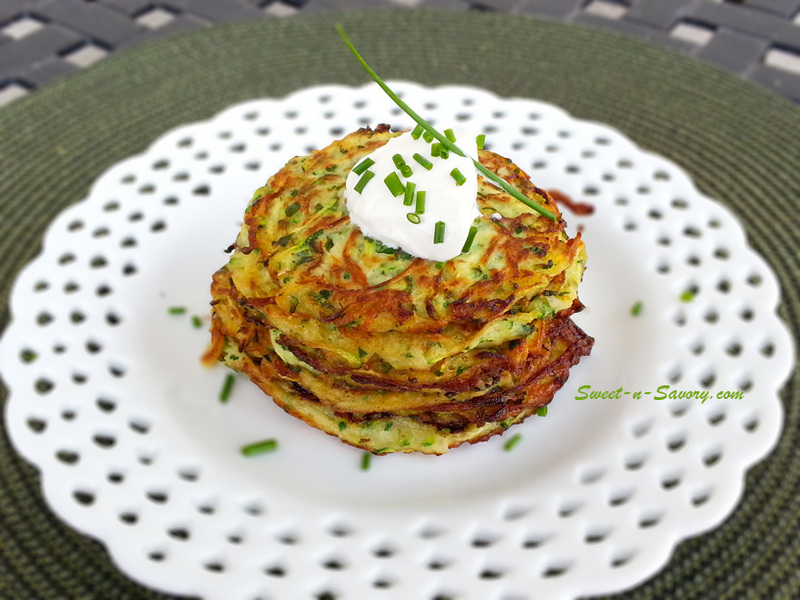 My mother-in-law made zucchini fritters for her boys, and when I had my kids – I kept the tradition, but started adding different twists to the original recipe, and all three of my boys love a different type of zucchini fritter. 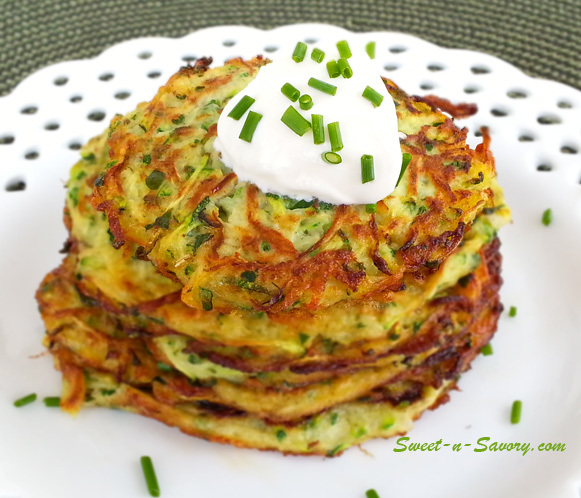 I will start with the version that is my oldest son’s favorite zucchini fritter with parsley and onions. 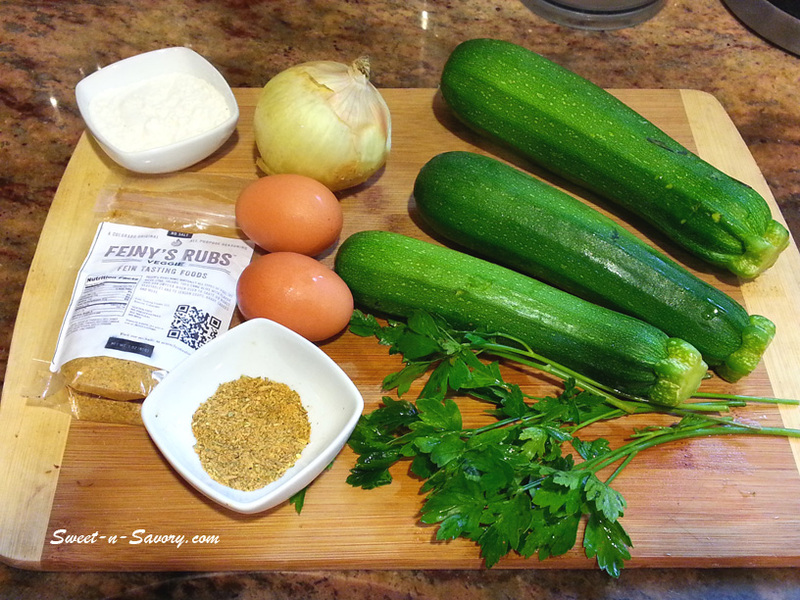 Using a medium grater, grate the zucchini and onion. Add the vegetables into a colander and squeeze out the juices. 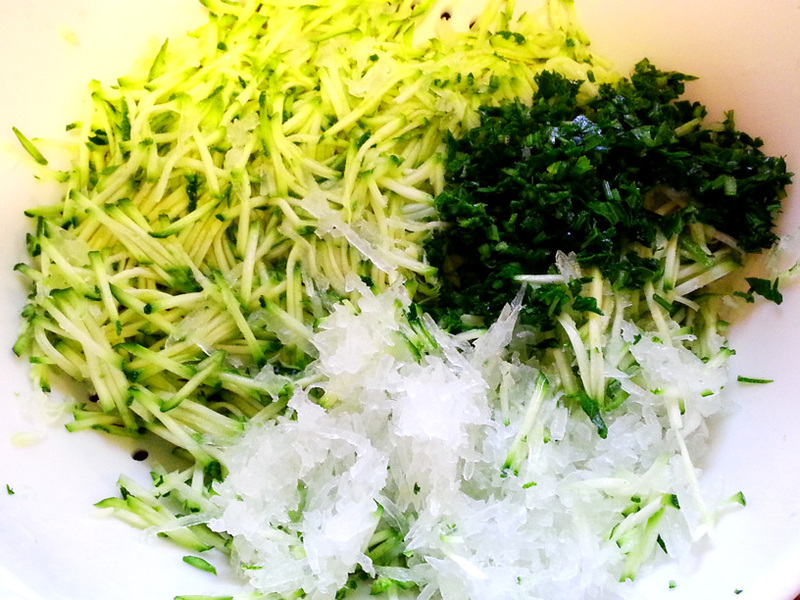 Add chopped parsley. Break eggs into a small bowl and scramble with a fork until a little frothy. Add the vegetables into a medium bowl and toss well with flour, spices and salt. Add the eggs and mix. Preheat the oil in the griddle on medium high heat. Add the batter 1-2 tablespoons at a time. Form into a round shape and fry on each side until golden. Serve with sour cream and fresh snipped chives.